RashCafé, 7, Row House, 8, Premchand Nagar Society, Bodakdev, Ahmedabad, Gujarat 380054, India. 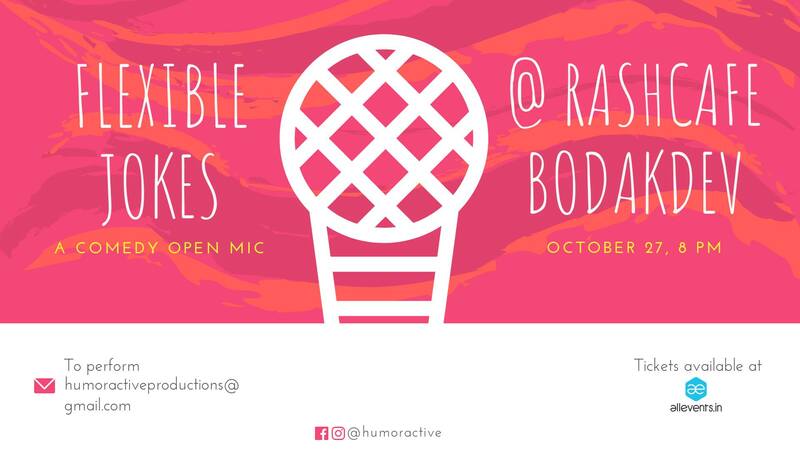 Hi, this is a series of open mic at a Yoga cafe where local comedians try their jokes and you decide if they’re funny or not. Interesting? Then come to the show for more interesting jokes ok?